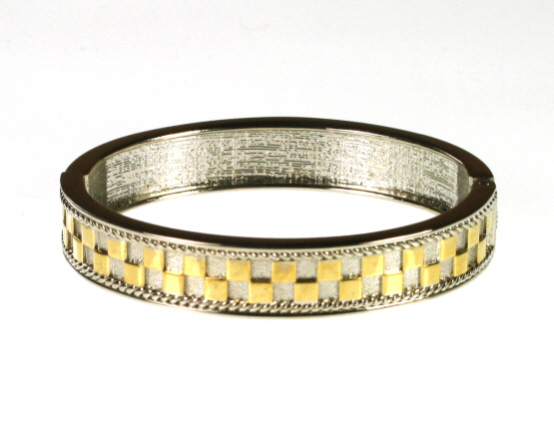 An attractive silver and gold plated hinged bangle with block patterned detail. Gold and silver coloured oval shaped bangle. Herringbone pattern with spring hinge. Presentation Box.